Vasoactive intestinal polypeptide and related peptides. Isolation and chemistry. Glucagon and related peptides. Molecular structure and biological specificity. Primary structure of glucagon from an elasmobranchian fish. Torpedo marmorata. Mammalian pancreatic preproglucagon contains three glucagon-related peptides. Isolation of peptide hormones from the pancreas of the bullfrog (Rana catesbeiana). 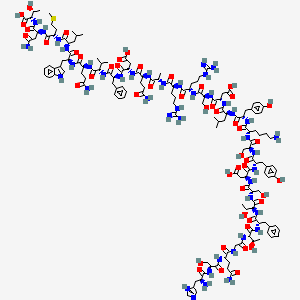 Amino acid sequences of pancreatic polypeptide, oxyntomodulin, and two glucagon-like peptides.